The destruction of the Second Temple in the year 70 placed the Jewish people in unprecedented turmoil. Exiled from their country and traditional Jewish practice in ruins, the future of the Jewish people was anything but certain. Over the next two millennia and across many lands, the Jews faced a series of physical, spiritual, social, and political challenges. How did the Jewish people manage not only to survive but to flourish? How and why did Diaspora Jews maintain fervent hopes and dreams of returning to the land of Israel in the future? 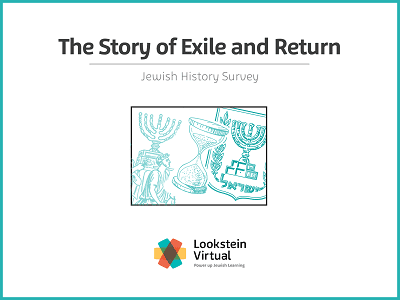 What was the relationship between the Jews in exile and the surrounding cultures? This course will explore the ideas and infrastructures the Jewish people created in order to respond to their surroundings.